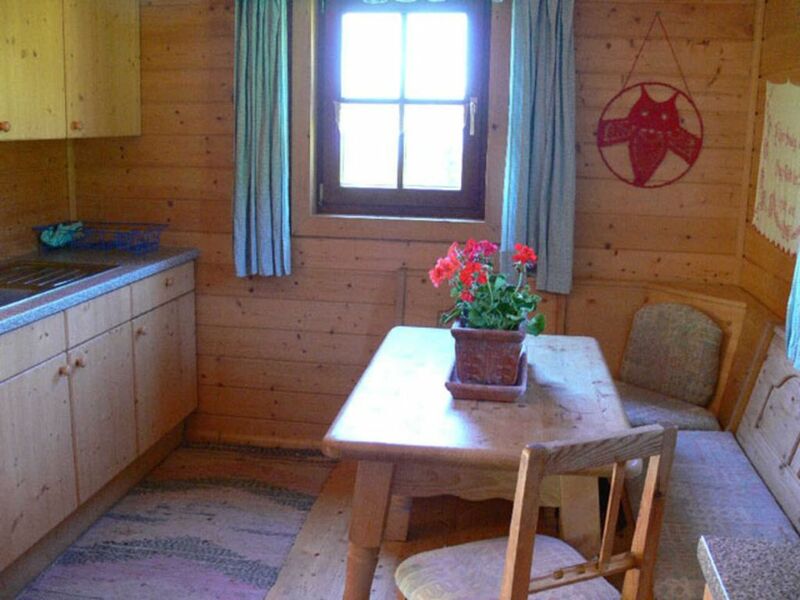 Our alpine hut is a paradise for peace seekers. It is located at the foot of the mountains right on the edge of the forest all to yourself. By the campfire you can enjoy the fantastic view of the mountains. With a terrace and plenty of green space you can watch the cows grazing. There is a kitchen with cold running water, a table-top stove and in the living room a tiled stove. Upstairs there is a bedroom with a double bed and a sleeping lair. There are up to 7 people in our cabin. Our alpine hut is a paradise for peace seekers. It is located at the foot of the mountains right on the edge of the forest all to yourself. By the campfire you can enjoy the fantastic view of the mountains. With a terrace and plenty of green space you can watch the cows grazing. There is a kitchen with cold running water, a table-top stove and in the living room a tiled stove. Upstairs there is a bedroom with a double bed and a sleeping lair. At our self-catering cottage bed linen and towels are to bring your own. Electricity is not available at the alpine hut, for all those who do not get along without a cell phone it is possible to come to our farm and to charge all devices. There are up to 7 people in our cabin. Our alpine hut is located by itself at the foot of large and small Pyhrgas, in the middle of the national park area Pyhrn - Priel. On a large meadow area and yet very close to the forest. It has a stunning view of the mountains. The hut can be reached by car and there are many hiking and biking tours, as well as swimming lakes and excursion destinations which are easy to reach.